AL-SEN: One of us(!) 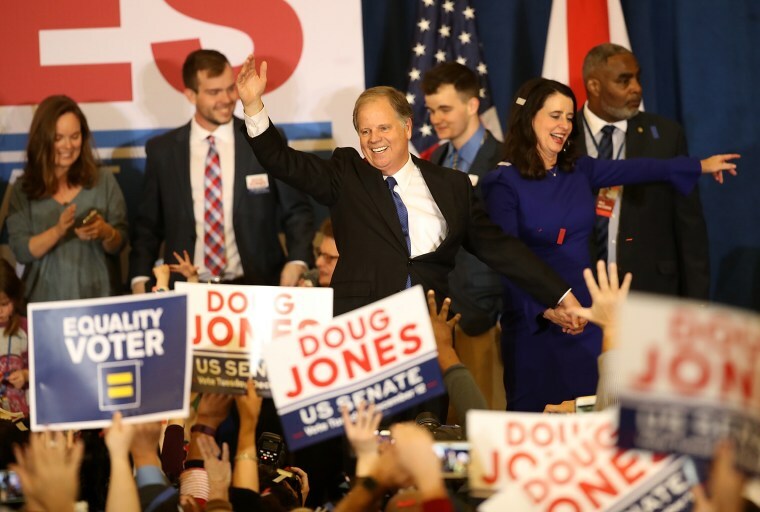 takes a look at the factors that sunk Roy Moore — including how the allegations of sexual assault against him dampened GOP turnout and fired up the Jones coalition. The New York Times offers some key takeaways, and the Washington Post looks at how Democrats are feeling buoyant about 2018. MN-SEN: The governor of Minnesota will name Al Franken’s replacement today. VA-SEN: Don’t miss Ed Gillespie taking stock of the political environment and saying Trump was a “big factor” in his loss. The New York Times notes that Trump’s cries of “fake news” are being adopted by political strongmen around the globe. Rex Tillerson says it will take at least three years to relocate the U.S. embassy to Jerusalem. The Fed is expected to raise interest rates, the Wall Street Journal notes.